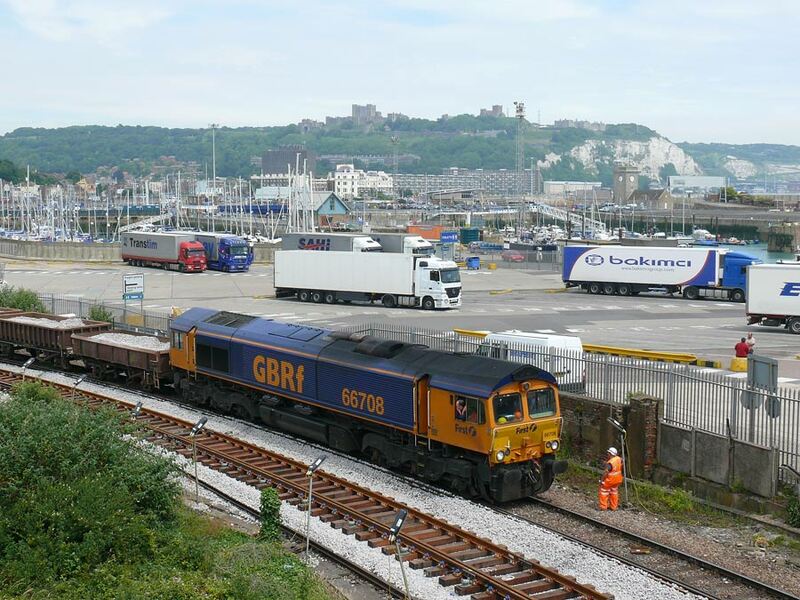 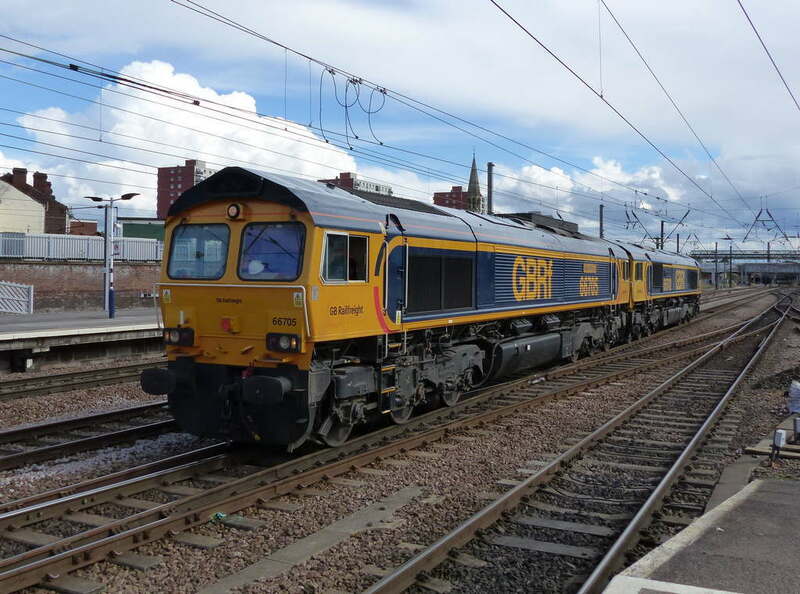 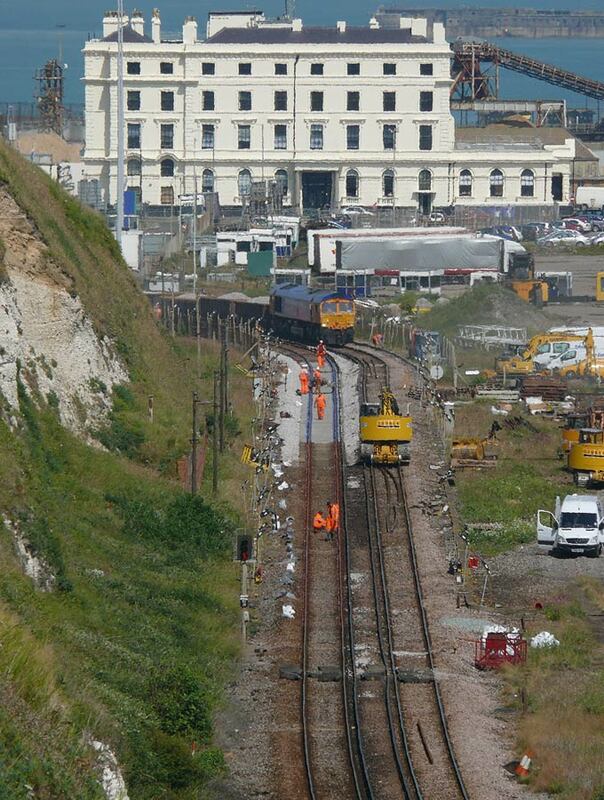 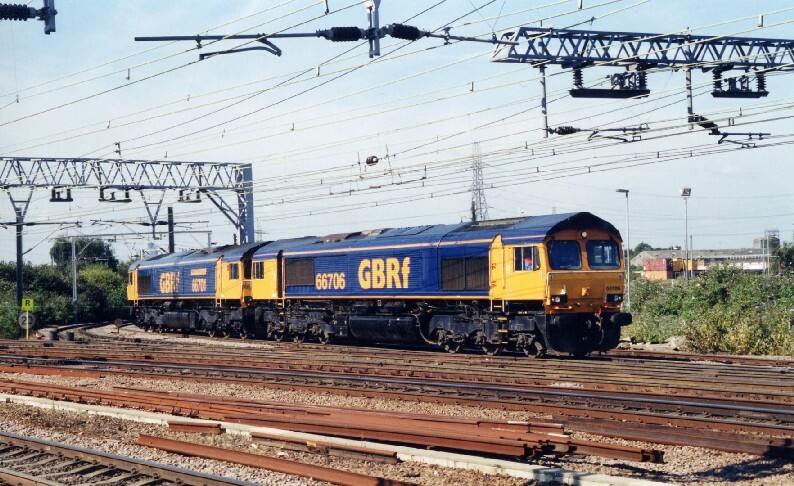 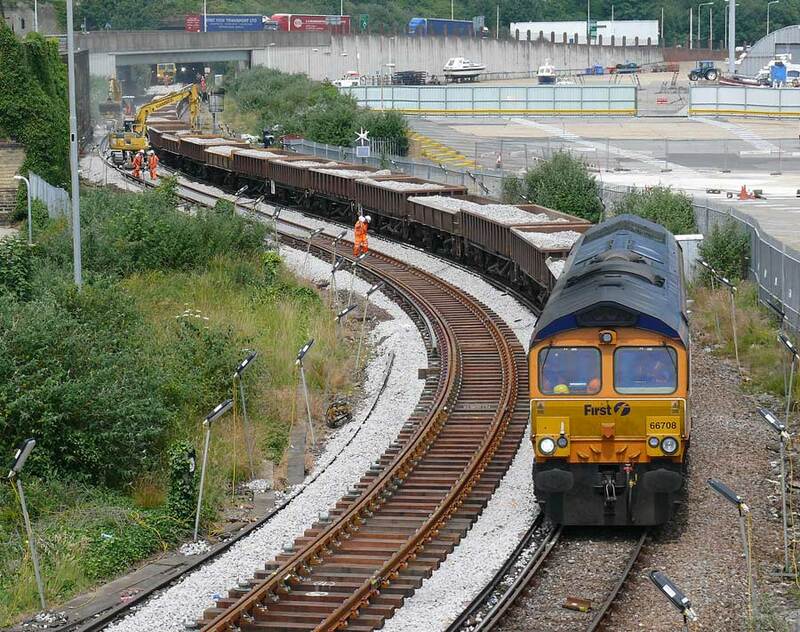 Two of GBRf's class 66s, 706 and 704 are seen heading for Stratford Depot in August 2002. 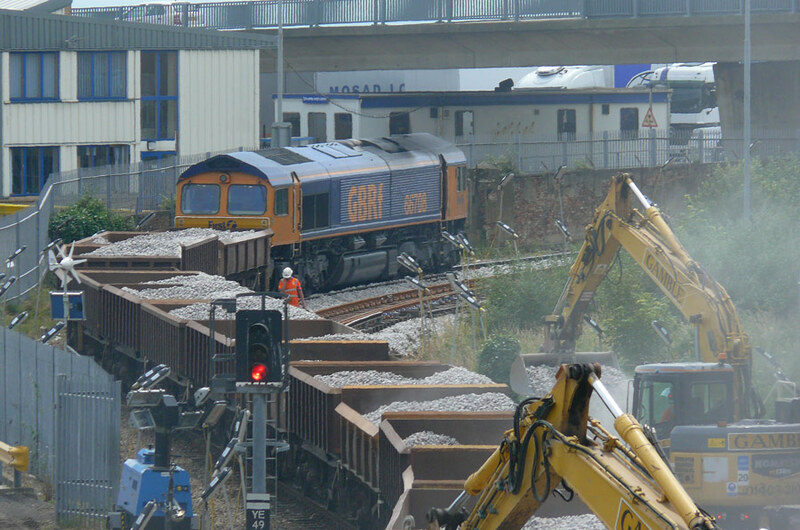 This combination is not a regular sighting so may have been the result of a loco failure. 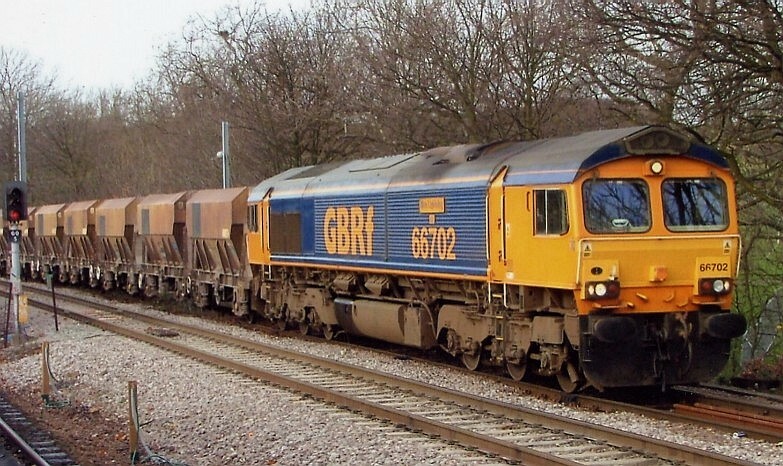 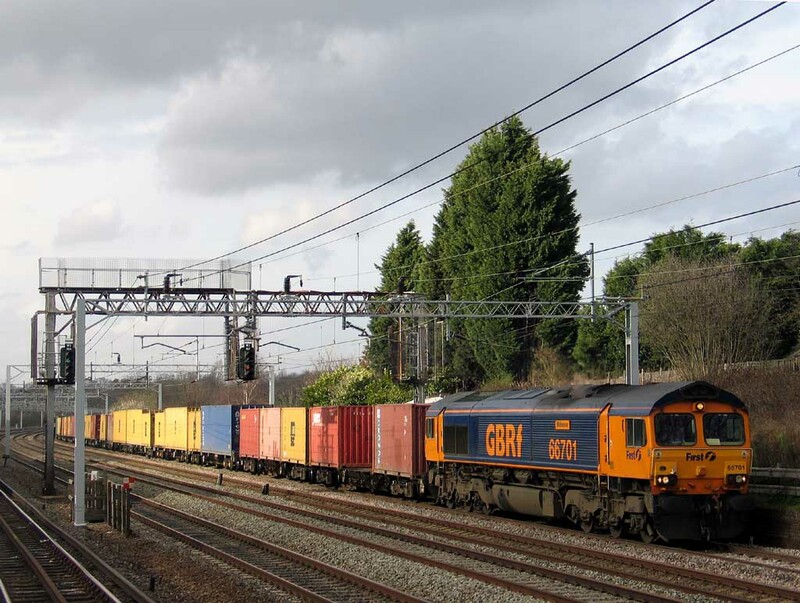 GBRf's 66702 on old hopper wagons at Gospel Oak on January 18th 2004. 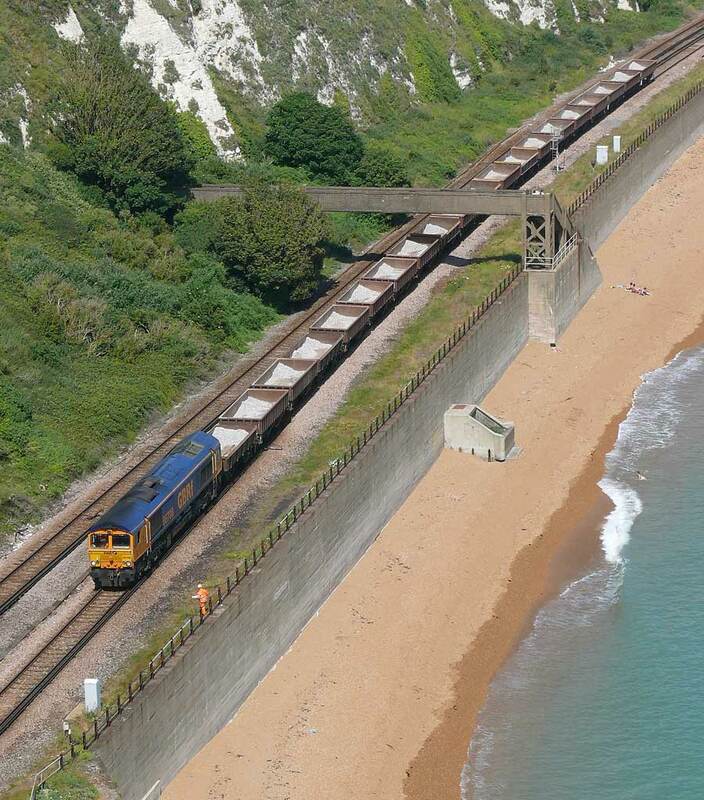 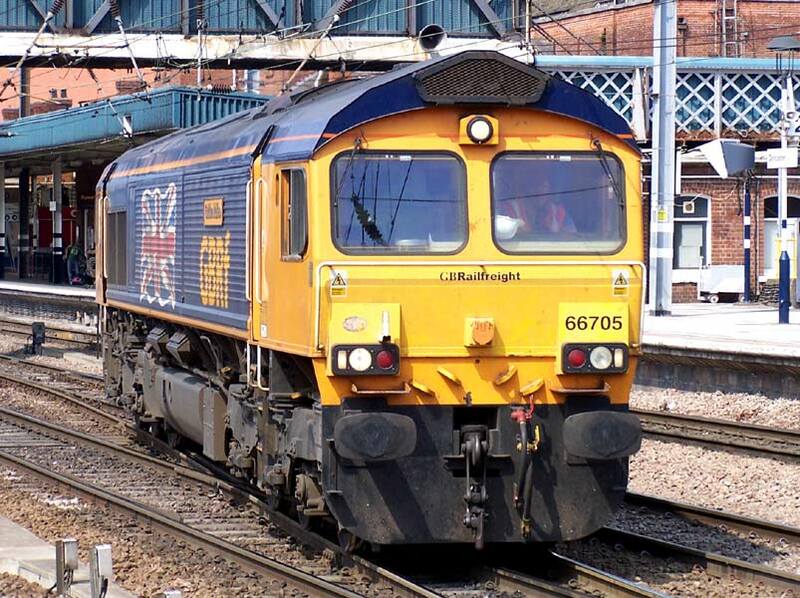 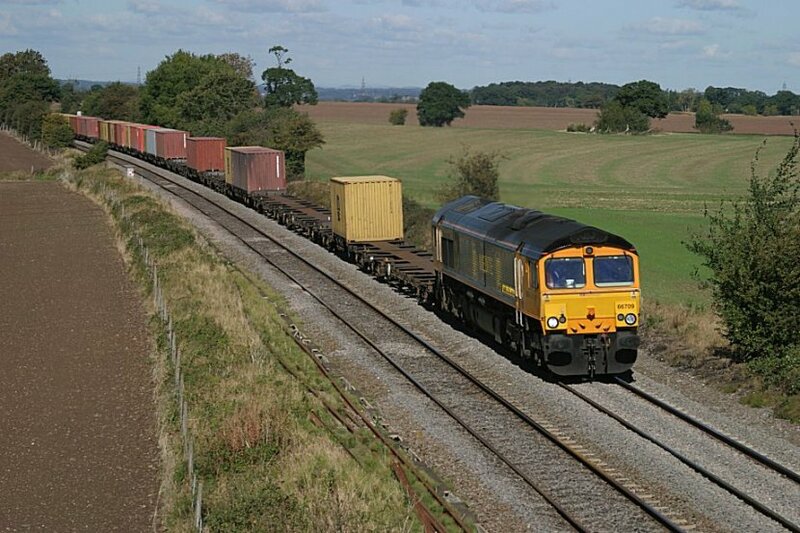 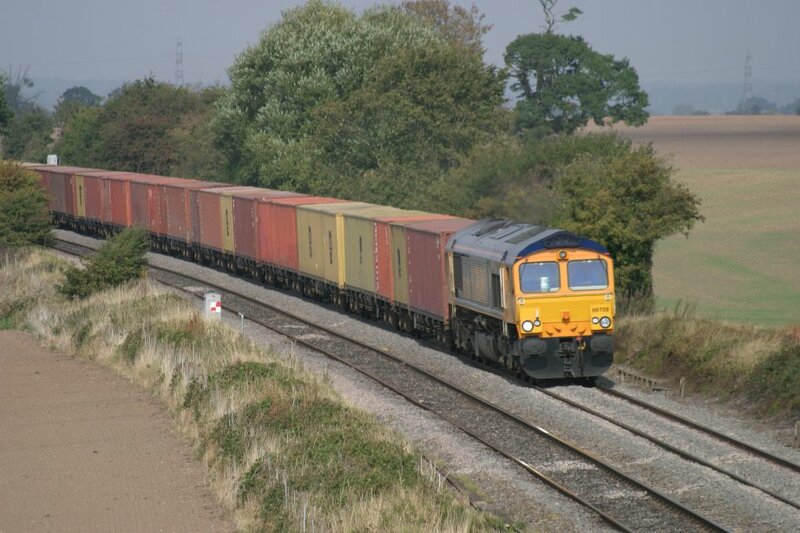 Class 66/7 seen passing Portway with a freight on 20 September 2003. 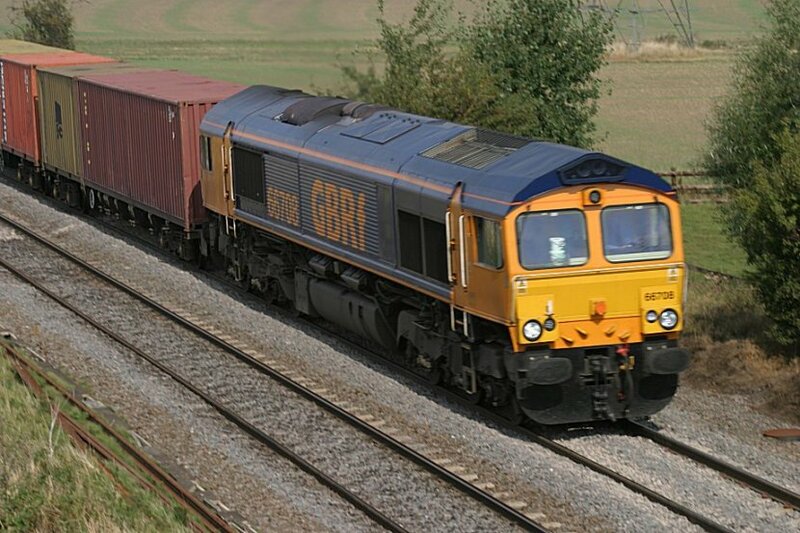 Class 66/7 seen passing Portway on 23 September 2003. 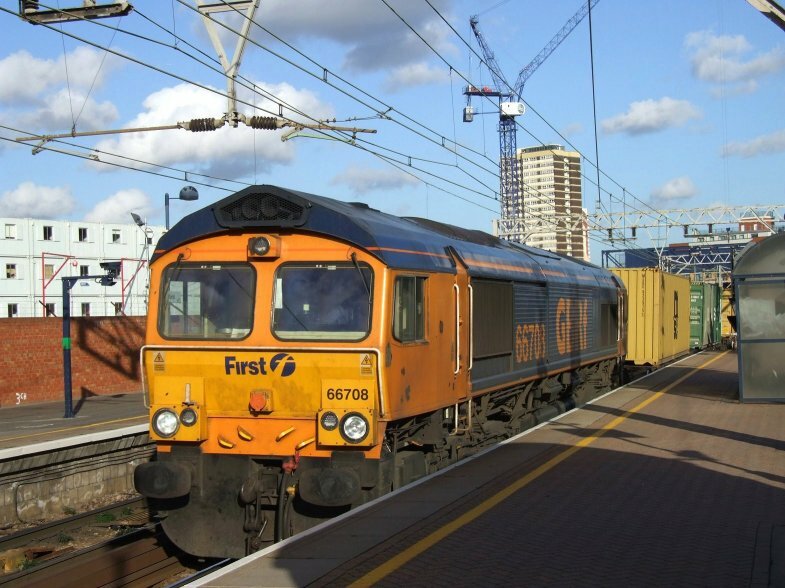 Carrying GBRf livery but part of the First Group 66708 runs through Stratford on the 17th November 2009. 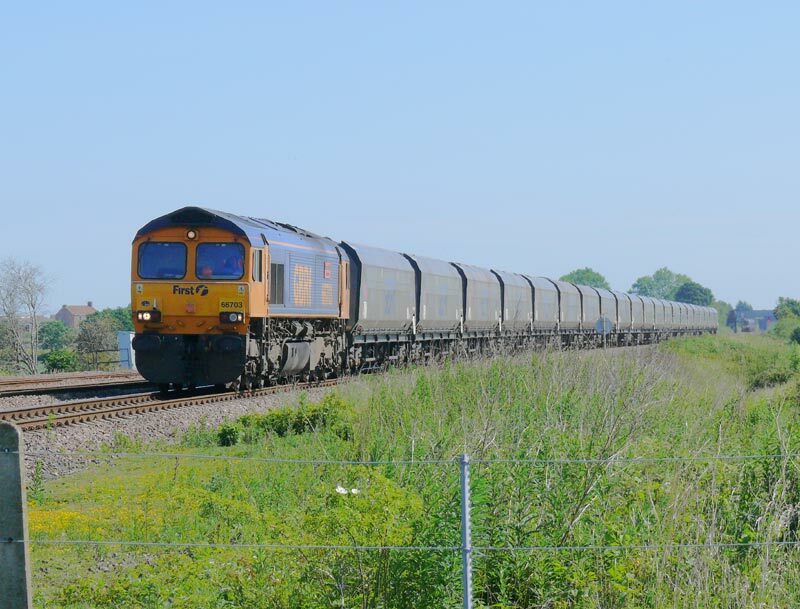 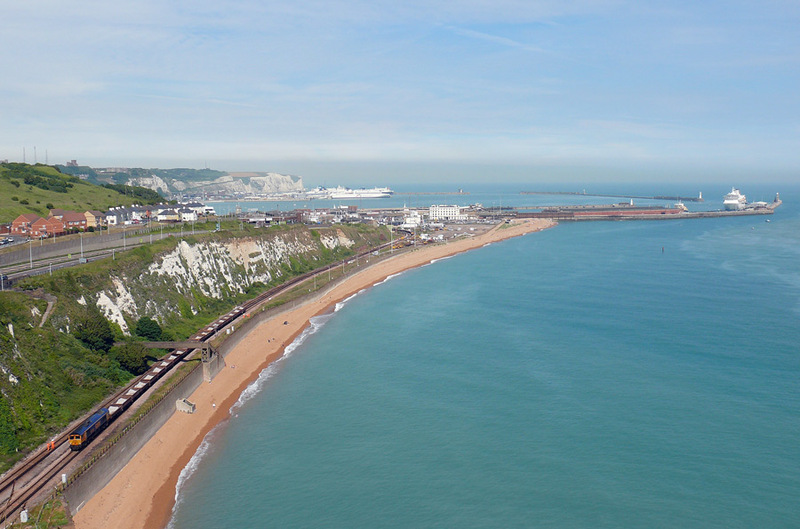 Now when this 'shed' appeared...the sun shone, when the 47 went through...the clouds came over and as for the 37s on the Serco it suddenly rained so hard I had to run for it! 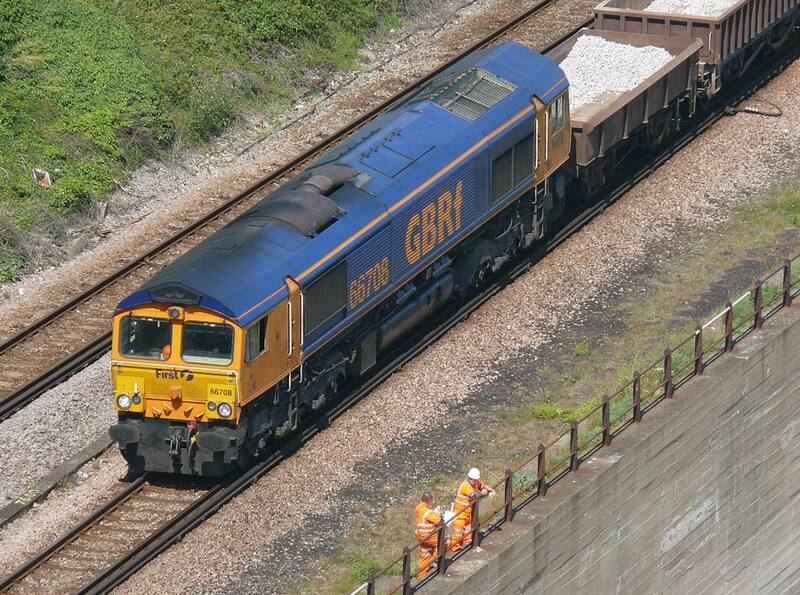 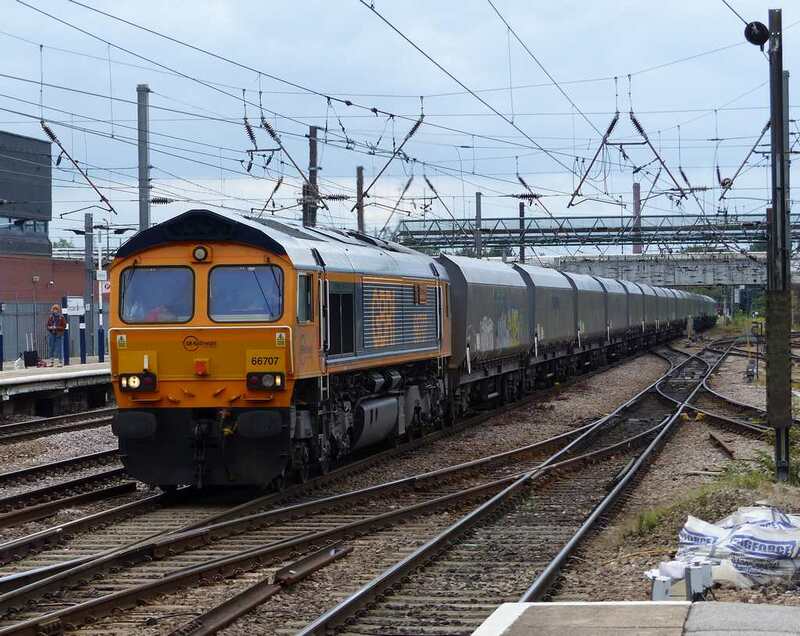 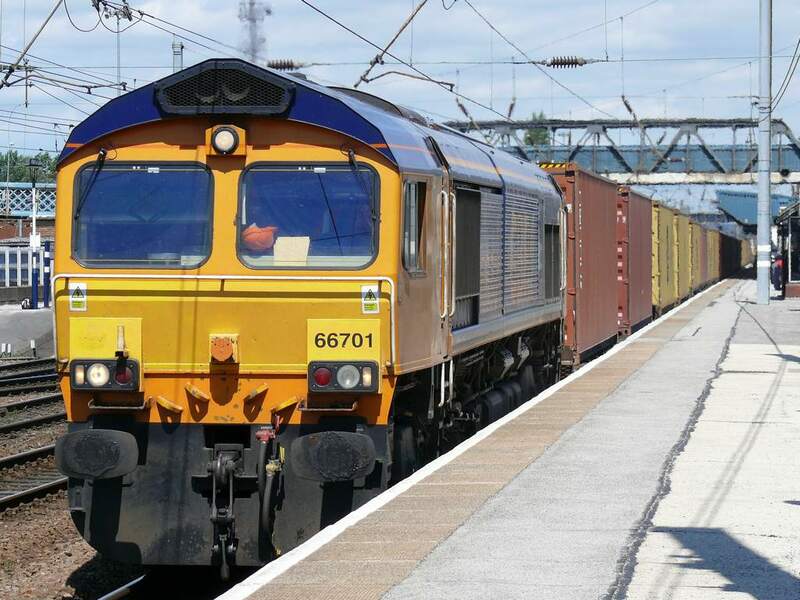 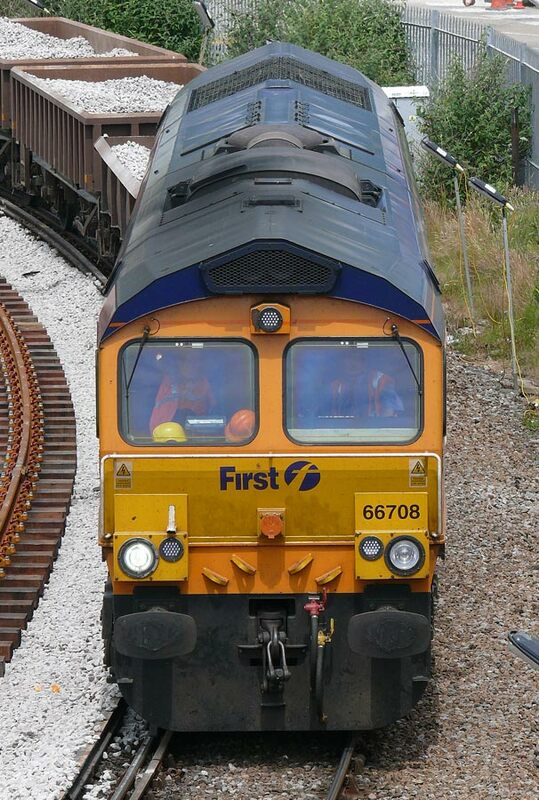 GBRf's 66706 is pictured departing from Broxbourne on August 25th 2004.